As Hestra®'s most well-known glove, the Army Leather Heli Ski keeps you warm in the harshest conditions. Performance mitten with cuffed silhouette. 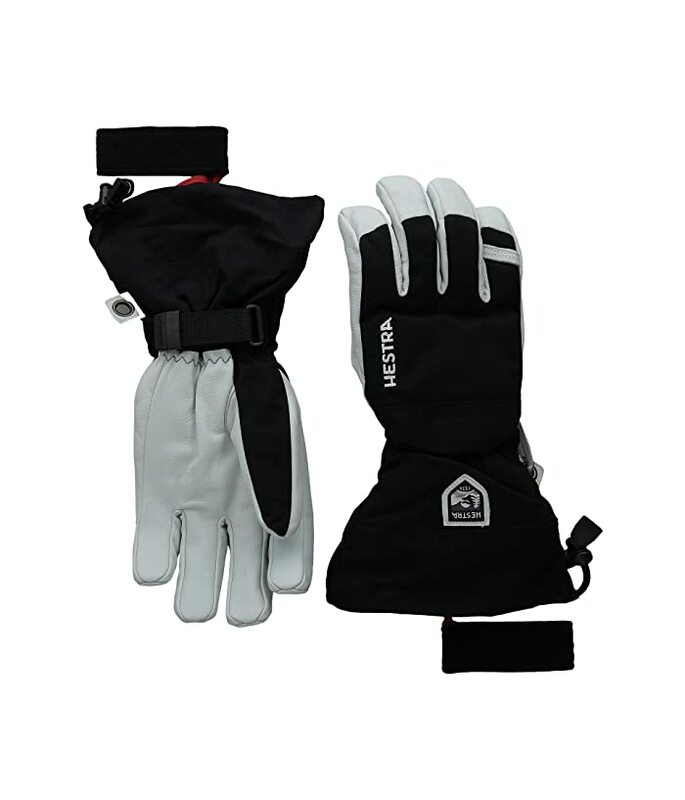 Outer material made from windproof, waterproof, and breathable HESTRA Triton fabric. Rugged palm panel made from goat leather. Pre-curved Eagle Grip© is designed to mimic the hand's natural resting position. Elastic wrist with Snow Lock and hook-and-loop closure. Carabiner at wrist for secure storage. Removable Bemberg liner with Fiberfill insulation.